We have our own transport fleet and teams of skilled and experienced office furniture installers. We deliver nationwide both direct from our factory and from our southern warehouse in Guildford, enhancing our flexibility and enabling us to offer a better service than from a single despatch point. We offer an installation service, or installation may be carried out by our distributors’ own teams. All Pure Office Solutions Ltd representatives will be briefed on the method Statement and risk assessment before commencing work. All Pure Office Solutions Ltd representatives will sign in and out as Required and display the relevant passes at all times. All works to be carried out will adhere to the Pure Office Solutions Ltd Health and Safety Policy and will adhere to client's requirements. When we deliver and install our projects there are many factors that we have to take into account to ensure that the installation proceeds smoothly and safely. 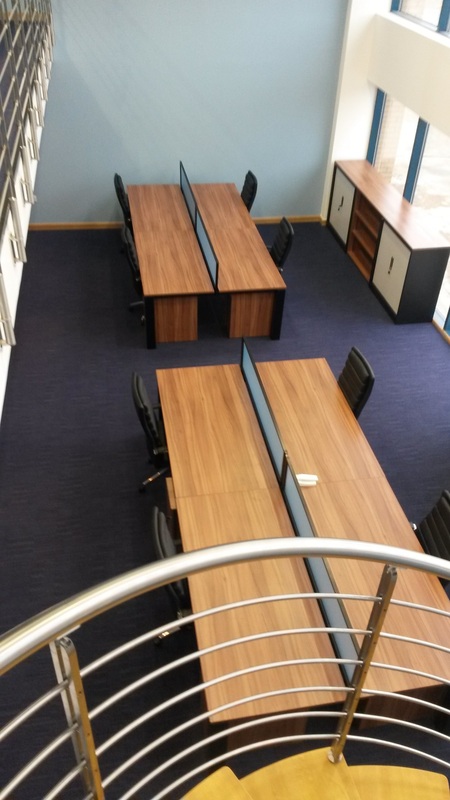 To this end we carry out site surveys and send out forms for completion well in advance of any office furniture delivery/installation: you may find further information below. Good housekeeping to be observed at all times to prevent any environmental impact and any waste will be tidied up on a daily basis and disposed of correctly. All materials will be delivered by suitable vehicles and unloaded in an allocated area prior to the commencement of work. Materials will be transported to final location and installed in line with an installation risk assessment. Manual Handling operations will be subject to the Manual Handling Operations Regulations 1992.